One of the most-anticipated new haunts of 2017 has made its debut at the Fairplex in Pomona: Into the Black. This multifaceted attraction is heavy on storytelling, culminating in a rather large haunted “maze” walk-through that guests must venture into… alone. Larry Bones and his wife Cheryl, along with lots of talented folks from their company Bone Yard Effects, Inc. have partnered with many seasoned haunters – including the team from Hollow Studios – to create a unique haunted attraction for a region that is extremely competitive and already full of a myriad of haunts, from sophisticated yard displays and stand-alone immersive experiences, to world-class theme park Halloween events. The Into the Black team knew it was going to be challenging entering a marketplace that not only is the most diverse on the planet – it also has the most sophisticated and demanding fans anywhere. The good news is, Larry isn’t new to the industry. In fact, many fans may recognize his name for his work well before Into the Black was a thing. 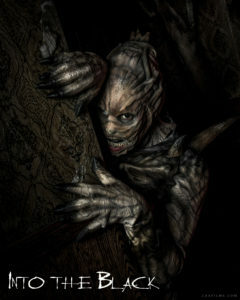 For 11 years, Larry and his team of talented artists supplied the makeup prosthetics and effects for Universal Studios Hollywood’s Halloween Horror Nights. 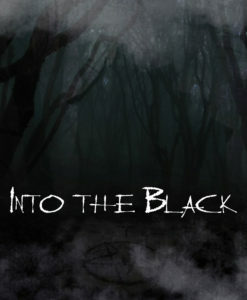 INTO THE BLACK is a brand-new haunt experience for 2017 created by Bone Yard Effects, Inc. that will take visitors on a harrowing journey this Halloween season at the Pomona Fairplex in Southern California. In 1866, Anton and Isabella Black built a large home deep in the woods, a fair distance from any village. They were reclusive, socially awkward individuals that kept to themselves and were rarely seen in public. Once locals began disappearing, people began speaking in whispers about the Blacks. Some suggested they were murderers. Others claimed that the couple was heavily involved with the occult – and that those who had gone missing were taken as part of heinous Satanic rituals and offerings. It didn’t take long for the woods to be deemed “off limits”. The looming Victorian in the heart of those woods would become known as the House of the Devil. For decades, no one ventured into the woods and eventually, the home and its occupants faded into obscurity. The lore surrounding The Black House was passed down for generations until people began to question the validity of the information at hand.